Beyer Carpet Cleaning offers unbeatable carpet cleaning in San Antonio. From the price to the service their prices are incomparable. The leading competitors offer great service but their prices are extremely higher than Beyer Carpet Cleaning. Beyer Carpet Cleaning is committed to providing excellence service and prices all year long. Beyer’s carpet cleaning technicians are well trained and highly professional. They will not over sale you or pressure you into buying products or services you do not need. Carpet cleaning in San Antonio can be tough. When you hire a carpet cleaner in San Antonio you never know what kind of service you will receive. Even when you hire one of the more well known carpet cleaners you can’t always expect the best out of their technicians. With their trained professional carpet cleaners Beyer Carpet Cleaning can get the job done and done right. 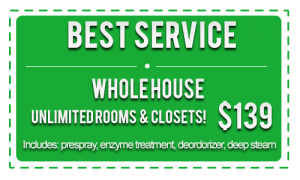 Their best service cleaning includes enzyme, emulsifier, and deodorizer. This treatment will remove 95% or more of any kind of stain, spot, dust, allergen, or anything else in your carpet. Beyer Carpet Cleaning also offers a customer satisfaction guarantee. So the next time you need your carpet cleaned call Beyer Carpet Cleaning. They only give the best so you’ll only get the best.